Hello summer! 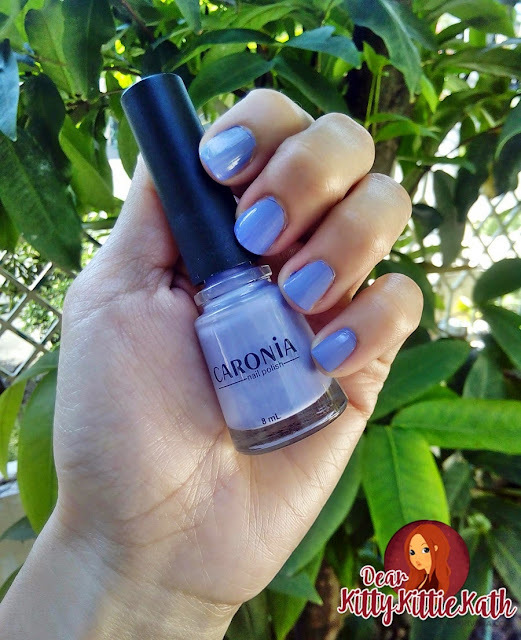 Bright colors is in so it's time to sport pretty shades from head to toe :) Whether you are planning to tick out most on your travel bucket list or try out tons of activities this season, Caronia has the perfect color palette to complement your style. Summer is definitely the best time to have fun under the sun wearing pretty clothes, flip-flops, and colorful Nail Polish. 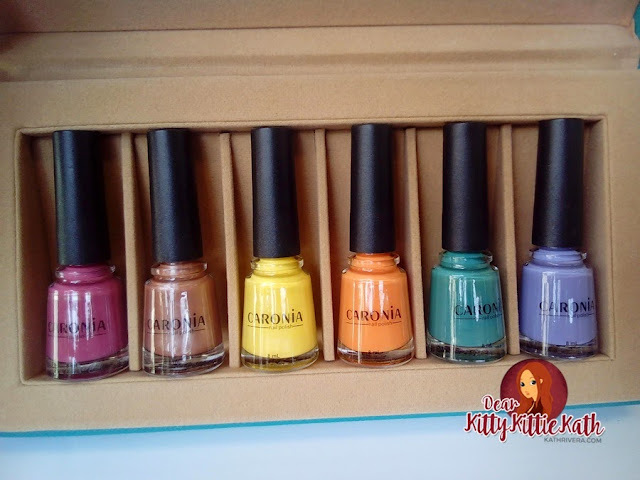 Caronia brings out this year's Shades of Summer, six cool swatches from their wide selection of colors that will make you reminisce those summer memories. I made a simple swatch for you. Please, my apologies if some of the swatches are not that perfect. Been so busy lately and wasn't able to visit the nail salon to pamper my nails. So without further ado, here are the swatches :) You can use this post as a reference on what shade will make your outfit standout this summer. A frosted skintone tint that brightens up your toe nails. 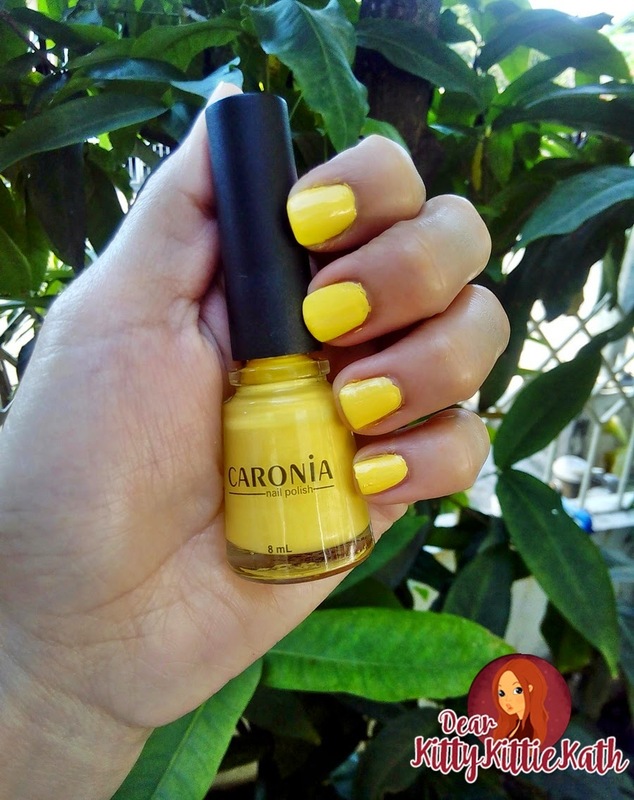 Your favorite yellow shade that will remind you of those sweet summer moments. This shade is a perfect nail accessory if you're going to a beach party. A coral red tone that brings back that first blush and summer love. This is a pretty alternative to reds which also looks chic on the nails. A pumpkin orange glow that matches your wavy beach hair. I like this shade because it looks simple but a head turner at the beach. The flawless rich lilac hue that sets out your youthful vibe. If you're attending a beach wedding, this will be your best bet from the collection. 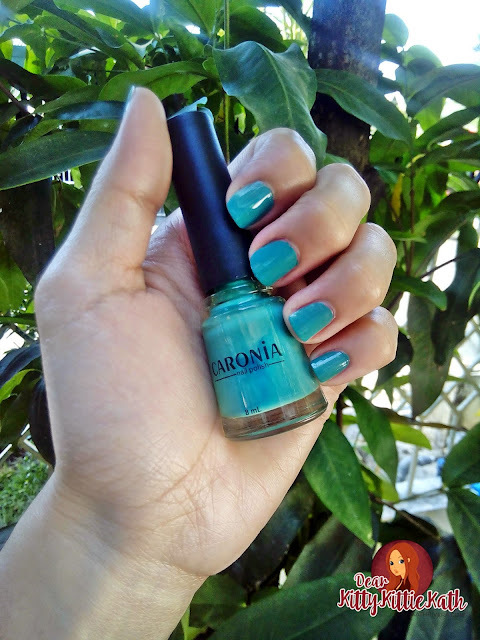 Aqua Green color that gives us an adventurous feeling to take on a new challenge. My favorite shade in the collection, simple, neat, and elegant. Feel the breeze and make the most of this season. 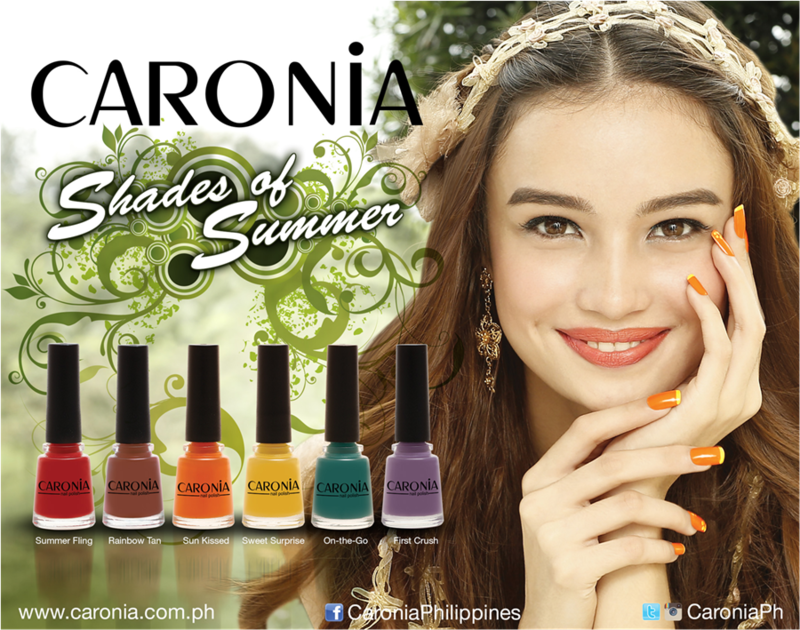 Get pretty nails with these summer colors you love and create colorful memories with Caronia Nail Polish! 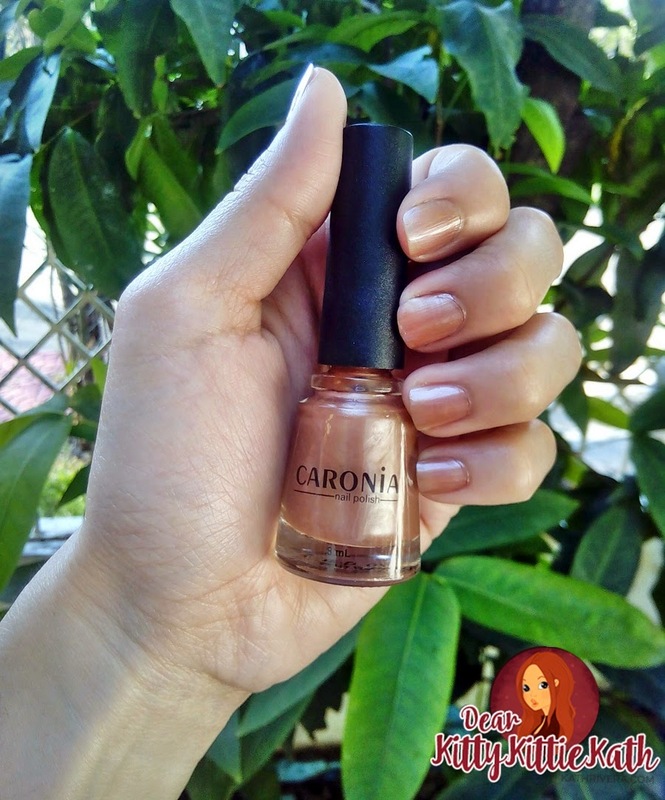 Caronia by Vibelle Manufacturing Corporation is the pioneering and time-tested nail care brand for the hip and trendy. With over 72 colors in its collection, women are given more opportunities to express and channel their creativity. Orange glow and Sunkissed look reeally nice. I so love the colors! Main reason why I love summer! Colors and more colors! I like the purple shade! I love Summer fling, sweet surprise & sun kissed! :) My cousin and i tried it when we went to a trip on our province and we super love how the color are vibrant, loud and just perfect for summer! We also might try the other shades as well. Wow! I'm so in love with the colors. I love rainbow tan.